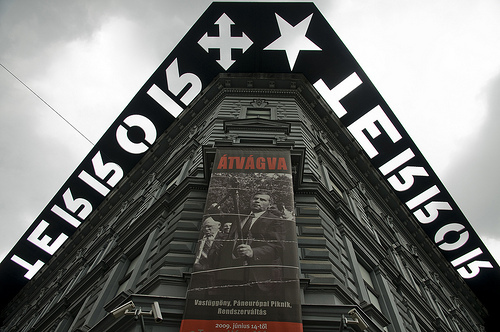 The House of Terror is dedicated to those who have survived Hungary’s two terror regimes, and reflects what life was like during such times of the eras of fascism and communism. The House itself is a monument in which people have been held captive, tortured and killed on its premises. This museum also holds temporary exhibitions around the themes of famine, the Holocaust and other tragedies. The basement of the building has cells where people from the Hungarian fascist party would keep their victims. Most of the exhibits are in Hungarian, but there are information sheets with translations. Memento Park is Budapest’s representation of what remains from the communist dictatorship of the past. 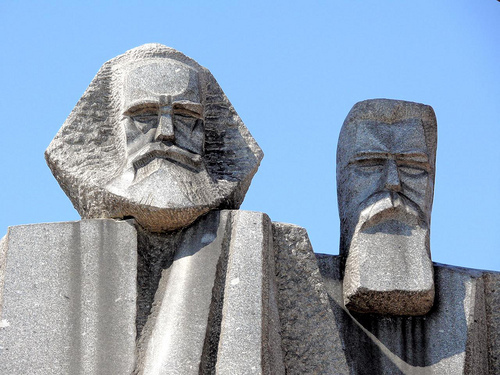 It is mostly an outdoor museum that houses the collection of statues from the Soviet era, with representations of Marx and Engels (above), as well as Russian and Hungarian communist leaders. Many of these statues were taken down after the fall of the USSR in 1989, and then many were placed in this park, which opened in 1993. Apart from the statues, there is also an exhibition hall and small cinema which opened in 2007. 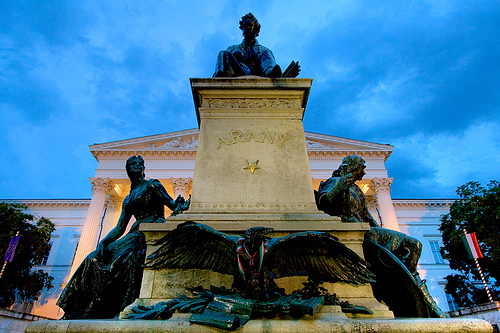 The Hungarian National Museum is currently located in a 19th century neo-classical building with assorted statues. It was originally founded over 200 years ago, starting as a library and natural history museum. There are seven permanent displays at this museum. There is a good deal of archeology and material from the paleolithic age; there is also an exhibit on old Roman stones. One other theme is Hungarian History, with materials from Ottoman Rule, the Middle Ages and the foundation of the modern state. In terms of contemporary history, there is much material on the rise and fall of communism. This National Museum displays much of its history with its Historical Photographic Collection, that has thousands of prints of things like landscapes, fashion, portraits and international events. 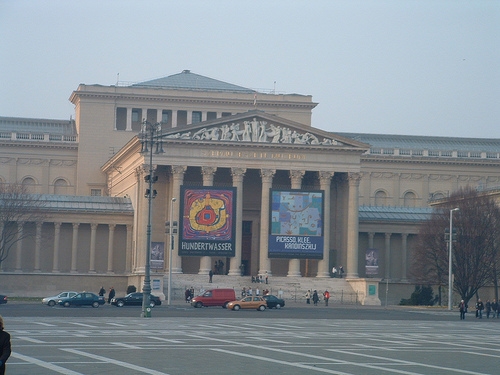 Budapest’s Museum of Fine Arts is full of exhibitions from Hungary and many other places. It is a very large museum with much to explore. There is a huge Spanish collection, as well as an Italian collection with works from some famous artists. There are also displays from ancient times, hailing from Ancient Greece, Rome and Egypt. There is also a substantial supply of modern art on display, from 1800 to today. This museum also houses the largest art history library in the whole country. very nice summary on the museums of Budapest. Some additions: Memento Park is Europe’s biggest outdoor statue park from that era, but personally I wouldn’t be so keen on seeing it. Definitely House of Terror is worth to check out! And, as well as usually in Europe: the museums are closed on Monday.